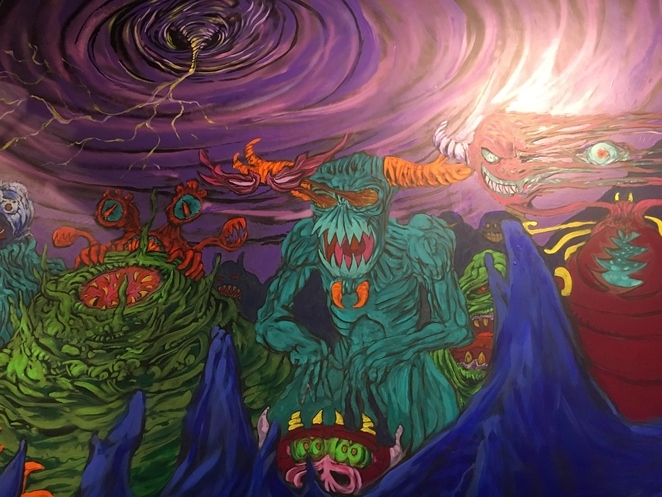 For a fun evening, take a trip to the bowels of the Netherworld! Netherworld Arcade, Bar and Diner exudes dark-geek aesthetic in the heart of Fortitude Valley, offering a different kind of grownup entertainment. With 15 pinball machines, 25 arcade games and multiple consoles, Netherworld hits you right in the nostalgia. My personal favourite of the many pinball options. It's also even better than it needs to be. 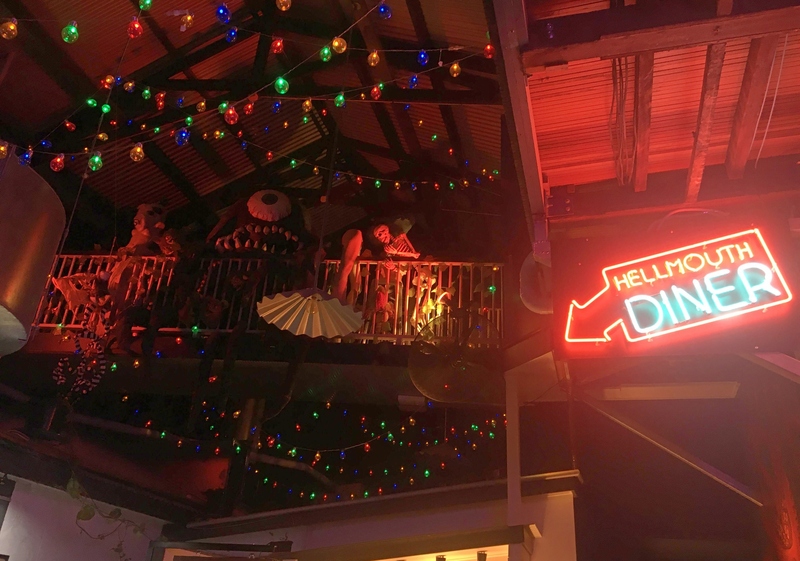 If you're a bit jaded, you might think the uniqueness of this Brisbane venue, and their lack of serious competition, means they'd slip in their standards from time to time. 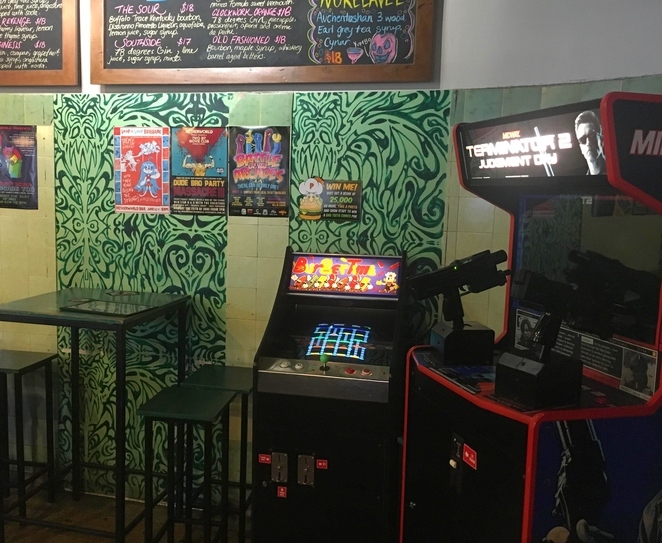 That may be an arcade gimmick would make them lax in the food of the Hellmouth Diner, or that keeping a steady rotation of games and local and imported beverages – 25 taps-worth – might mean they put less effort into their bigger events. Netherworld maintains excellence across the board, always going bigger and better with each endeavour and hitting the mark every time. This includes smashing the competition at the 2018 Kettle & Tin Chili cook-off with an exceptional vegan offering. For a meal that's worth the eternal damnation. Their menu is vegan by default, with 'Carnivorous/Dairy Options' available to switch-in. There's deep-fried diner fare, hot dogs and sweet and savoury waffles. The amazingly full, juicy burgers are a bit structurally unsound, so be prepared to lick your fingers. Also a warning: the house 'hot sauce' is actually hot. 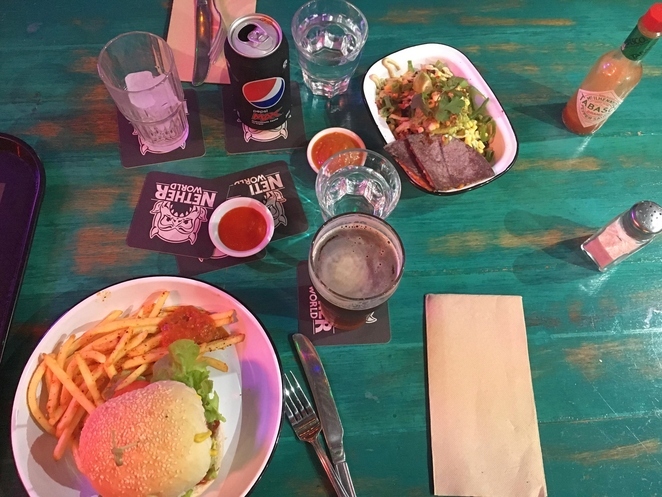 The diner is great for a pre- or post-film meal if you're planning on an afternoon at the Palace Centro, but there's enough at Netherworld to keep any denizen delighted. Lo! The Burgatory and El Tunche! 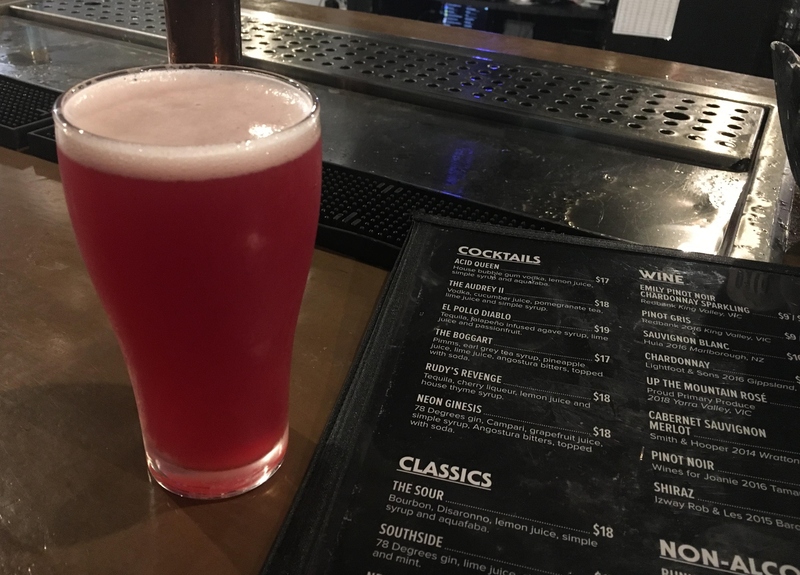 Beetroot beer counts as one of your five-a-day, right? With pockets full of change, you could stay for hours and still not get through all the entertainment on offer. Alternatively, you might go for the 4-6pm Happy Hour from Tuesday to Thursday, where a gaming token comes free with a drink. 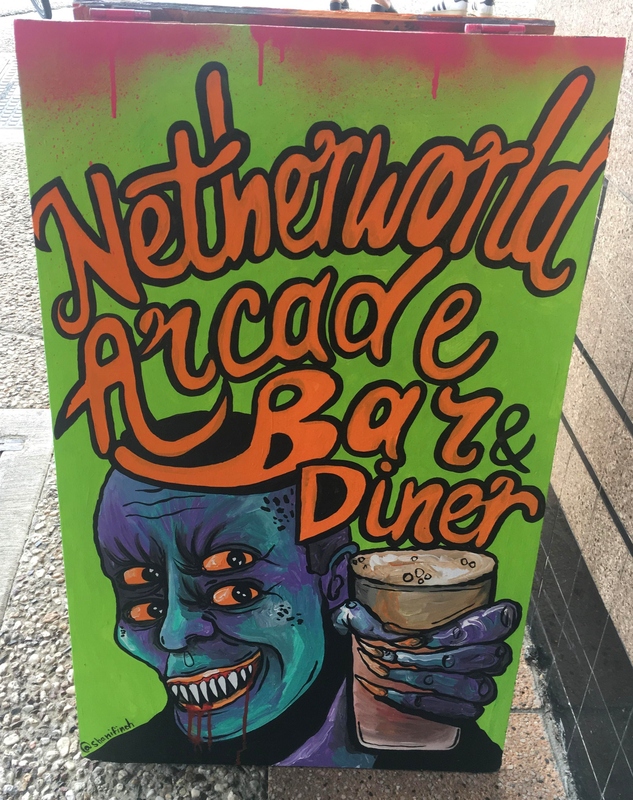 Netherworld has more unique beers than you can shake your fiery poker at, an ever-changing selection that has featured oatmeal stouts, yuzu IPAs, beer made of beetroot, potato or raspberry, as well as your hop-standards. There's also a full cocktail menu, wine list and house-made non-alcoholic sodas. Cocktails and Terminator 2 in the front bar. What more could you want? If you're there for gaming, you could try rack up a high score and win a commemorative pin. 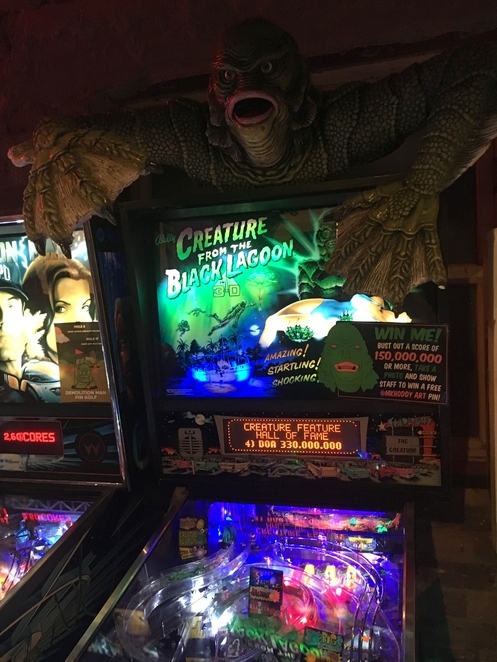 Netherworld has more than pinball and Frogger: there are driving and combat games, two-player shooters, Nintendo classics and Dragon's Lair makes an occasional appearance, although it is currently switched out for TMNT. There's even plain ol' Pong. While you pay to play these, the console games are free for use: Mario Kart, Crash Bandicoot, Ecco the Dolphin and more. 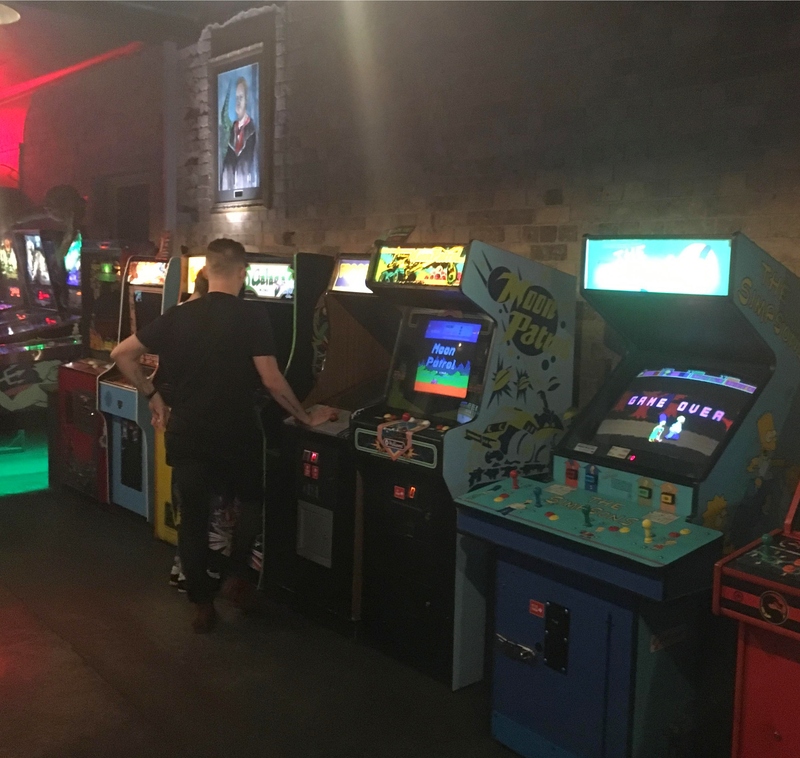 A veritable buffet of arcade and console games in the back room. There's a plethora of tabletop games free for use, and they hold game nights and D&D introductions. Netherworld events will intrigue geek and non-geek alike. 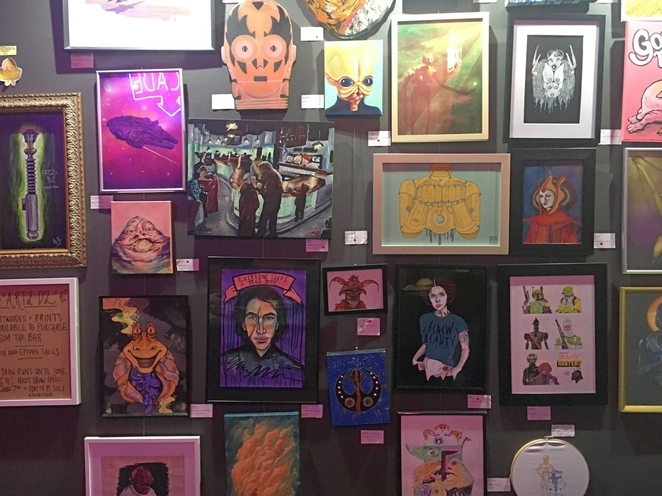 These range from the regular 'Two-Bit Movie Club' to Saturday morning cartoons (with a complimentary bowl of cereal) to pinball club, a 'Monster Makeup' contest and mini gallery showings – currently Star Wars themed. There are also kid-friendly 'Little Monsters' sessions, to introduce the younger generation to pinball wizardry with a side of waffles. Current mini-exhibition. Prints available for purchase. Netherworld loves nostalgia, but still keeps it all fresh as heck every time. The underworld has never been more inviting.